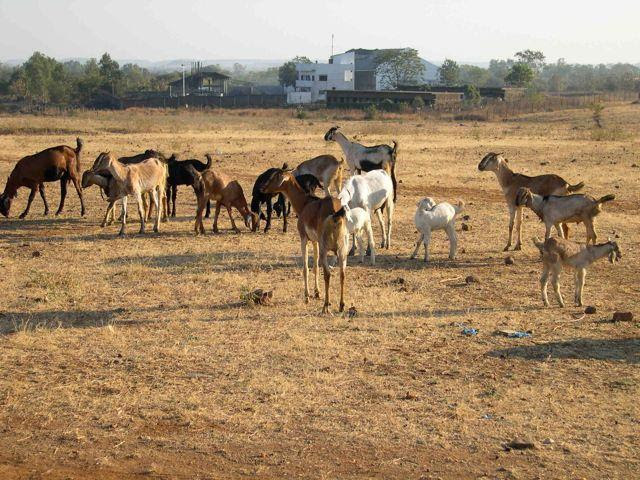 Vet Med Outreach gifted two goats in 2015 to Anup. The development after that took place in his life is remarkable. I really want to thank our almighty God for His provision through His people who really helped us to help Anup in this transformation. Today Anup is relaxed and confident because of these two goats. These goats really changed the whole scenario. 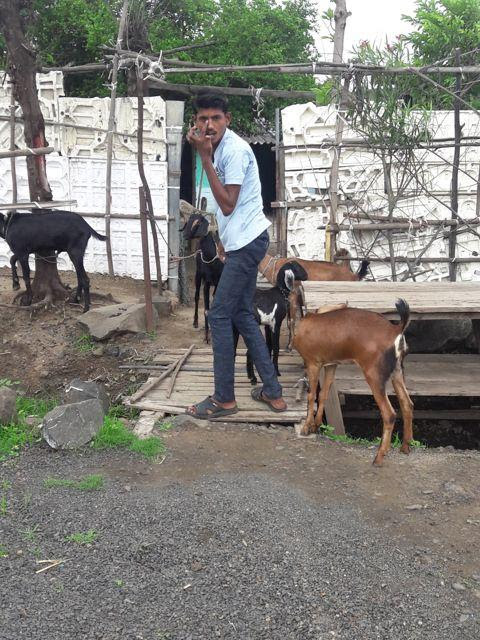 Anup now owns 5 goats which will continue to give him extra income. 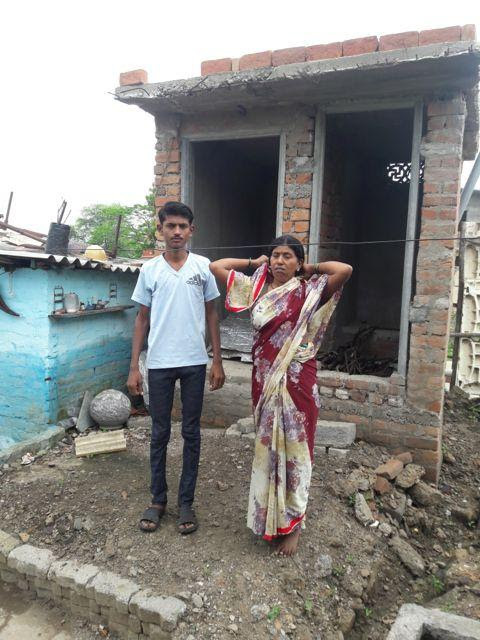 Since 2015 there are many changes that took place in this family where once was a big problem how to spend money on Anup’s education. 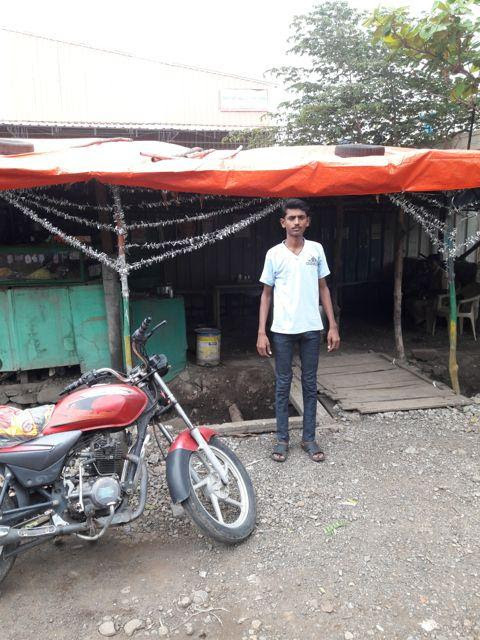 But now Anup completed his industrial training in good technical school which was his big dream, his family getting balanced food, they built latrine and bathroom in their home and icing on the cake they started their own small restaurant on the road side. 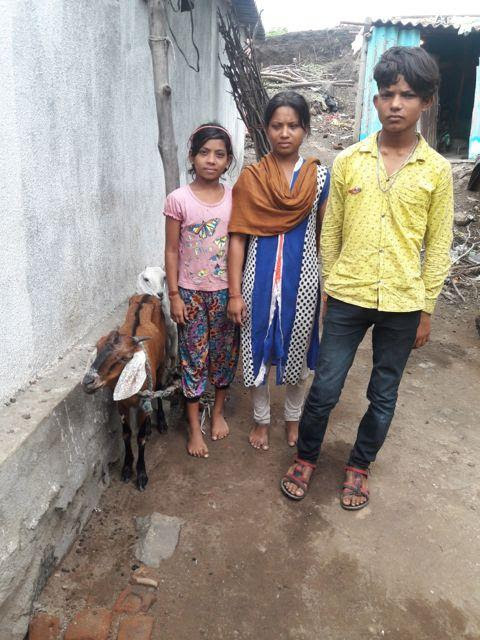 Our two goats find good answer to the problem of poverty in this family. In my opinion this was the perfect gift to move out of extreme poverty. This gift of goats really opens the doors for me to visit their home regularly where today I can share Gospel and love of Christ to the group of 25 young people in this village and many young people change their life to good moral life. 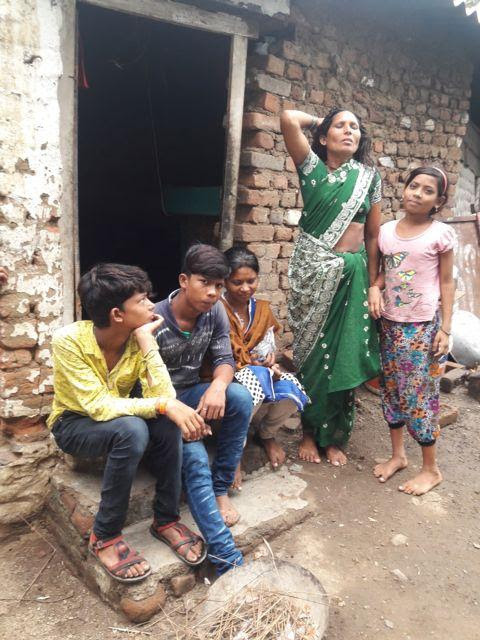 Indeed, your love and support has enabled us to carry out lasting change in Anup’s life and as he gave us one room for our fellowship once a week encouraging many young people in this village. Manish is another boy who attended our Self-Reliant Training in 2014 where I taught him personally. 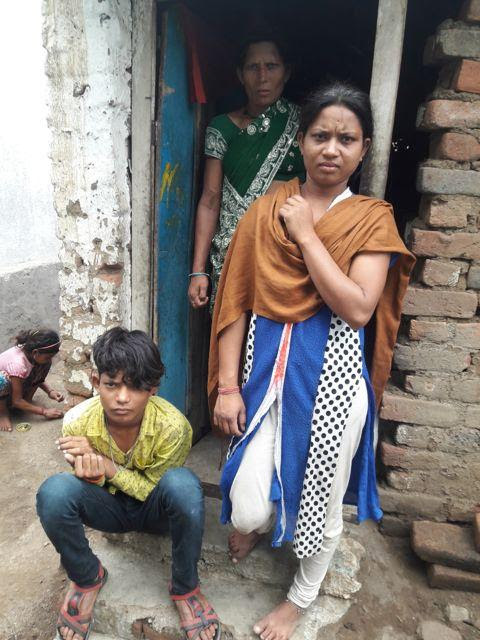 His father died because of Tuberculosis (T.B) which might because of extreme poverty leaving 4 children with many problems and burden on Manish’s mother. I remember when I visited his home in 2014. The condition was horrible. His mother was laboring hard to feed 4 small children and still was not able to send her children in the school. So his elder sister quit school to earn money for family. It was very difficult for them even then also to attend school very easily. 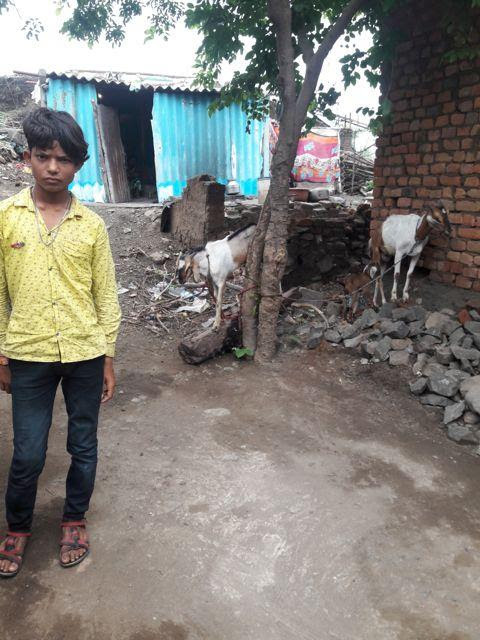 In 2015 Vet Med gifted two goats to Manish and his family and since then their life started changing. They got extra income to spend on children’s education. As the number of children was more they have to utilized most of their income on them. Therefore children’s education itself was a big treasure for Manish’s mother. Today all the members of this family living happy life, they getting good food and 3 children of this family attending school regularly. Gift of goat really bring them out of poverty. Today they have 4 more goats and this is itself is a very big hope they have for their financial crisis. Manish is very regular in our fellowship in this village and since last two years he changed spiritually too as he stopped his bad habit of chewing tobacco. Both of this two projects really encouraged me to spend time in the group of young people in this village. We come together once a week and Anup sharing his one room for us to hold our fellowship in this village. Here I get opportunity to encourage them through Bible and life changing stories. I can see great change in many youths. This all because of your love and support, I am thankful to God for your love for Him.